Our Ukrainian client commissioned the French architect Jean-Michel Wilmotte to design a family home in the forest near Kiev. Neveux Rouyer were asked to design the gardens and the adjacent wooded estate. 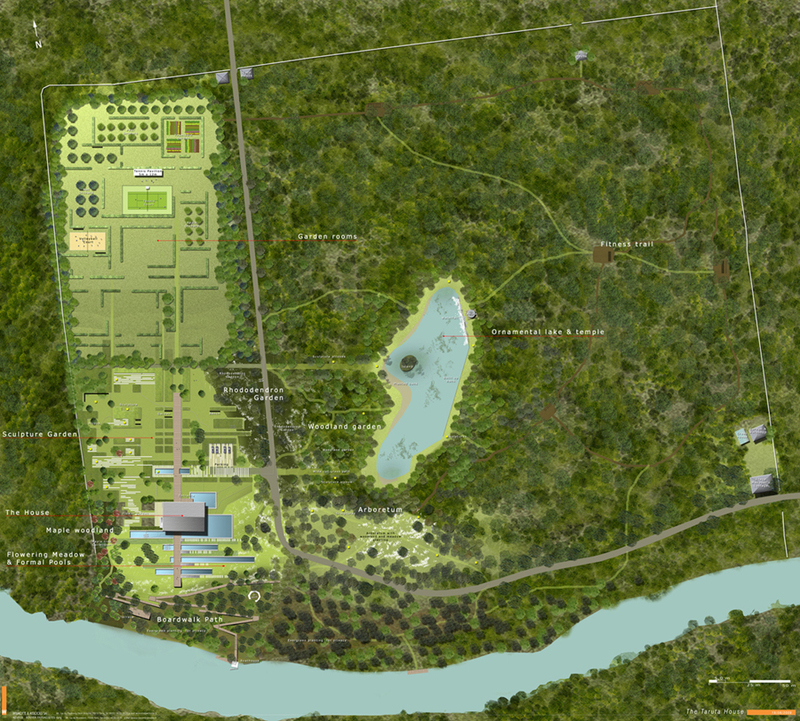 The project included sports pitches, a lake, a sulpture garden and hedged garden rooms to receive marquees for parties. At Neveux Rouyer, Lynda was responsible for carrying out site surveys, the concept design, design development, forestry management plan and project management. From Left to Right: Garden rooms with potager, tennis court and orchards; lakeside gardens; lake and woodland.